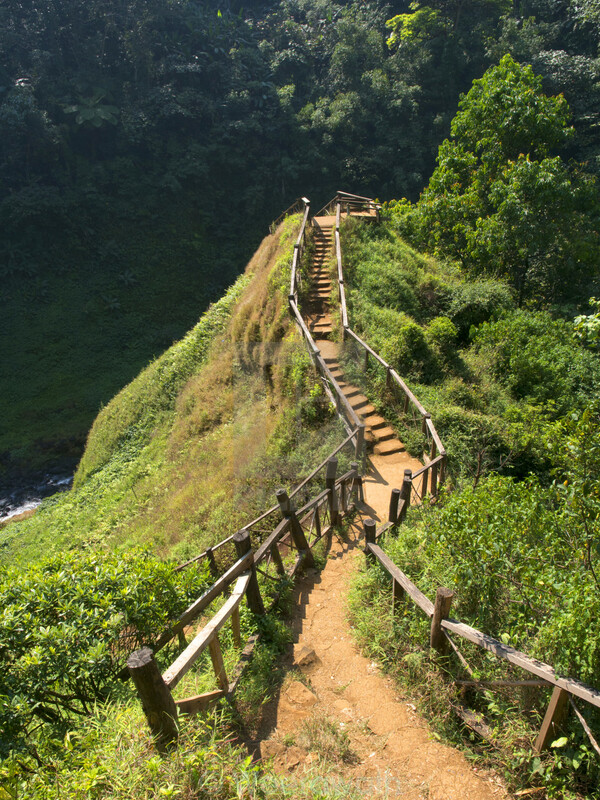 stairs up the hill to waterfall view point in laos The tracking uphill on plain dust passage way with stone steps and wooden rails to observation point. The hill surround by green grass and green rainforest trees with the dense forest trees in background. The picture was taken in afternoon sunny day.